With over 40 genera and 3,000 species, bromeliads come in a vast array of sizes, shapes and colors. They range in size from the tiny Spanish moss to the gigantic Puya ramondii. The Puya ramondii, also know as the “Queen of the Andes”, is the largest bromeliad and has one of the world’s largest inﬂorescence. The foliage can reach 10 feet in height, often growing up to 9 feet in width, with inﬂorescence reaching 30 feet tall. Puya ramondii is native to the highlands of the Andes in Peru and Bolivia. They enjoy the cool climates and rocky topography found around 13,000 feet. But they can be cultivated in warmer climate as well. They grow in communities called rodales and will generally conﬁne themselves to one speciﬁc area on a mountain even though the surrounding terrain appears to be exactly the same. The International Union for Conservation of Nature has placed the Puya ramondii on their “Red List” of threatened species and is categorizing them as “endangered.” The “Red List” is created with the intention of monitoring the populations of threatened species and providing information regarding the species while tracking conservation efforts. There are several reasons why the Queen of the Andes’ population is dwindling. The seeds have a very difﬁcult time germinating in the precarious terrain and climate. There are also few insects to pollinate the seeds. While the plant produces millions of seeds very few viable seedlings will result. The genetic makeup of the native population of plants is also very similar. There is very little genetic variation between different communities, and even less within a rodale. 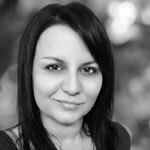 This may make the communities highly susceptible to pests and disease. There are also human factors that threaten the plants. Grazing, in particular, has threatened the giant plants on these highlands. Farmer’s cattle can easily trample seedlings and prohibit seeds from germinating. Fires used to maintain pasture land also threaten the plants. In Bolivia, Puya ramondii can be found in only two locations, one of which is a mere square kilometer in size. In Peru they can be found on various sloping mountainsides including within one protected national park. The “Red List” estimates there are 800,000 plants in Peru and only 30,000 plants in Bolivia. One suggested conservation method is to cultivate the plants in populations outside of their natural range in an attempt to diversify their genetic makeup. Others include protecting land where the Puya ramondii is found and enforcing their protected status as well as promoting the plants as a tourist attraction thus giving them economic value. These bromeliads are incredibly slow growing and long lived. The Puya ramondii can live well past one hundred years old and in its natural habitat will ﬂower at approximately eighty years. However, in cultivation the bromeliad will ﬂower much earlier. One specimen, grown in California, has produced ﬂowers at 28 years. While the plant ﬂowers earlier in cultivation, it usually does not grow as large as the plants found in their natural habitat. The queen of the Andes has long thin foliage that projects straight out from the plant creating a “spiky ball” on the trunk. It has sharp, ﬁshhook spines along the margin of the leaves to protect them from herbivores. When the ﬂowers appear they are approximately two inches in size. They cover a giant ﬂower spike. Flowers feature three white petals with bright orange anthers and attract various hummingbirds. The Queen of the Andes ﬂowers only once in its lifetime and then dies. Once the foliage begins to die back from the inﬂorescence it turns brown and wilts. Unlike most other bromeliads the Puya ramondii does not produce pups or offshoots. The plant only reproduces through the production and germination of seeds. 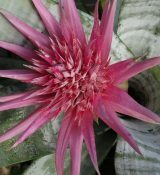 This is another contributing factor to the rarity and declining numbers of the bromeliad. The Puya ramondii has another characteristic that is unique from other bromeliads. Most bromeliads are native to tropical climates and do not tolerate temperatures below freezing. 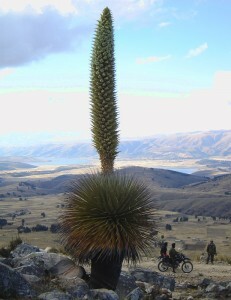 The Puya ramondii lives at high altitudes and therefore faces temperatures well below freezing, as well as vast temperature variation between day and night. To thrive in these conditions the plant has a substance in its sap that acts similar to antifreeze. This keeps the leaves from freezing when the temperature drops and allows the plant to survive in such extreme mountainous climate zones. 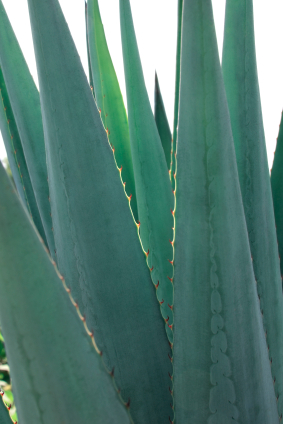 Blue Agave leaves are similar to those on the Puya. The Puya ramondii is rare, but it can be cultivated from seed if you happen to meet a rare collector or ﬁnd a seller online. Before you purchase seeds make sure the seller is reputable by reading reviews and contacting any references. There have been reports of sellers trying to pass off seeds from other generas as the rare Puya ramondii. Strange Wonderful Things, an online shop that sells rare plants, makes the following suggestions for growing the Queen of the Andes. To germinate the seeds, place them on top of moist potting soil mix formulated for cactuses. Lightly cover the seeds with the potting mix but make sure they are still exposed to some light. This can be either bright indirect light or a ﬂorescent bulb. Do not expose the seeds to direct sunlight. Make sure the soil stays moist for at least three weeks. The plants should germinate around six weeks but may take as long as three months. Seedlings that reach 1-2 inches can be repotted into individual pots. After ever so gradually exposing the plant to direct light it will be able to tolerate full sun. During the ﬁrst few winters, protect the plant from frost. While in time it will be able to tolerate frost it will ﬂower sooner if it has been protected during its ﬁrst years of life. If you choose to attempt to grow a Puya ramondii remember that these plants are slow growing and incredibly large. If you plan to put the plant in a garden make sure you have signiﬁcant space. Also, patience is required if you want to see the plant bloom. Remember that the very youngest ﬂowering plant was 28 years old. It can take as long as 80 years for the plant to produce a ﬂower. The Puya ramondii is a truly unique example of a bromeliad. Its towering height and perseverance in a difﬁcult habitat make it an admirable species. While it can be viewed in a botanical garden there is no replacement for seeing the grand bromeliad in its natural Andean habitat. And if the plant is not properly protected soon there may not be much time to do so. Have you seen a Puya ramondii in person? What is the most spectacular bromeliad you have ever seen?